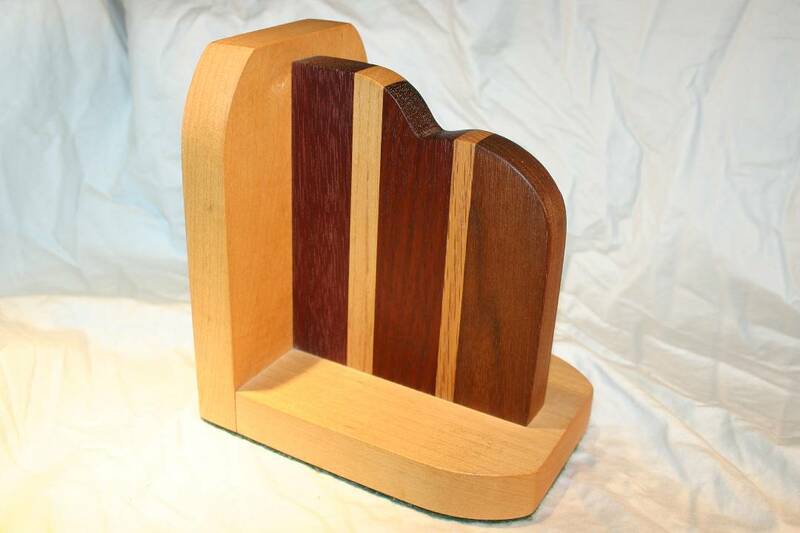 I made several of these pencil holders out of some kind of tropical hardwood that I have in a big pile in my shop. The edges are chamfered, and it's got four rubber bumpers so it won't slide around on your desk. It will hold four large pens and about a dozen business cards. 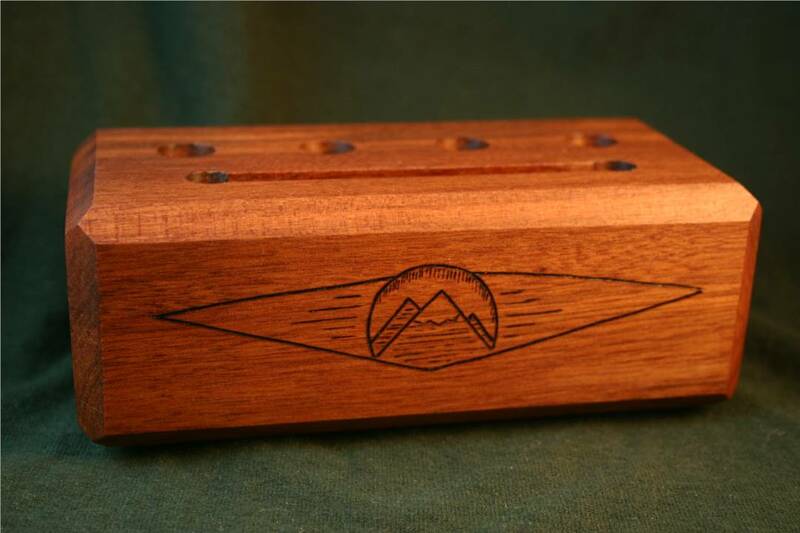 A small mountain scene was burned in to the front, and it was finished with Danish oil. 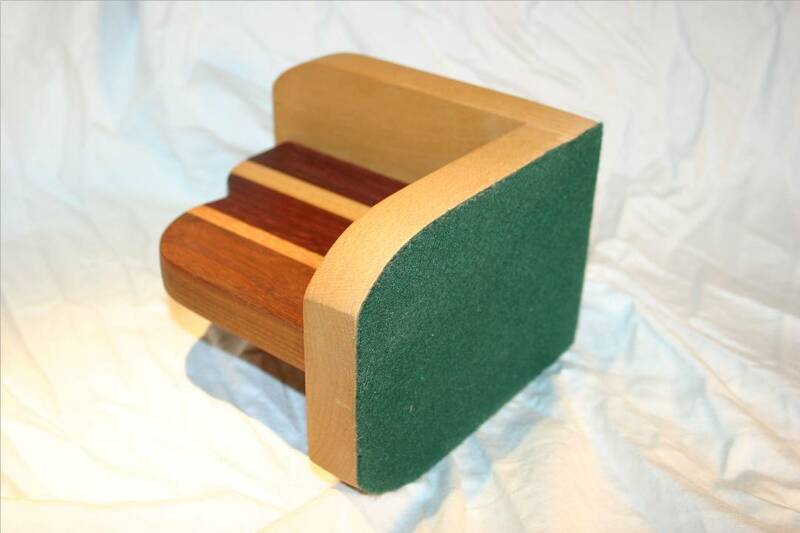 Coaster set, stoppers and a custom stopper display stand. This bowl is about 6-1/2" in diameter and a little over 2" tall. The wall is around 3/16" thick. It has been finished with several coats of Danish oil and paste wax. The bottom is slightly hollowed so that it sits flat. I signed and dated this piece. 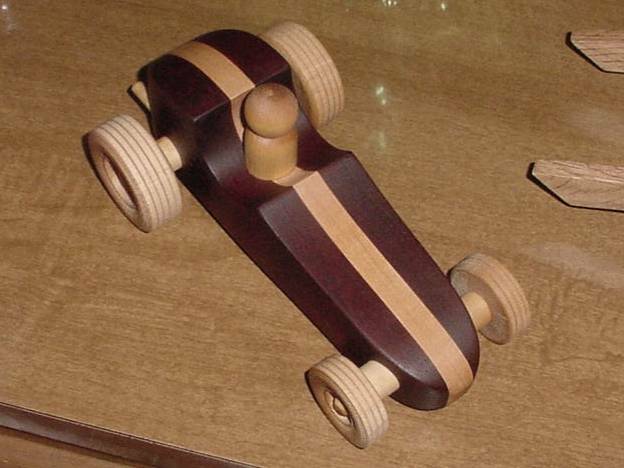 I made a few of these for xmas several years ago. 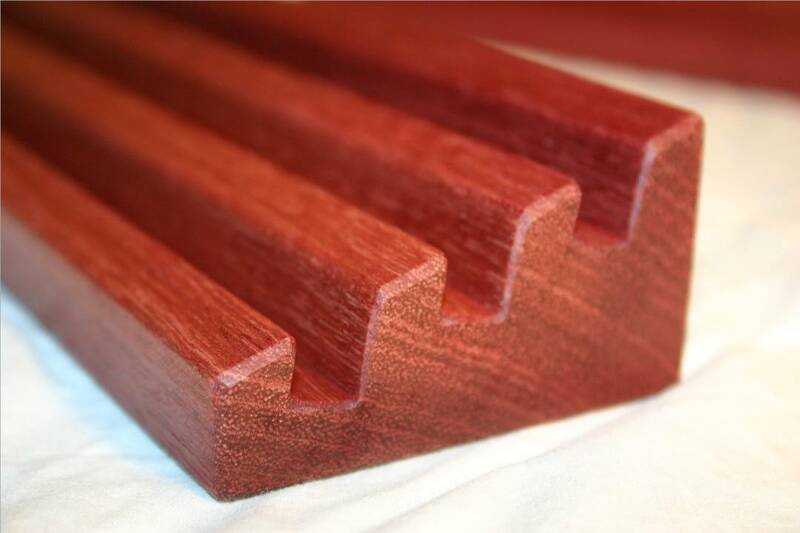 This one is made from padauk and rock maple. Others I made were from black walnut and rock maple. Nice little cars. I'll be making a few more of these soon. I made six of these from some really nice hard maple scraps that I couldn't let go of. 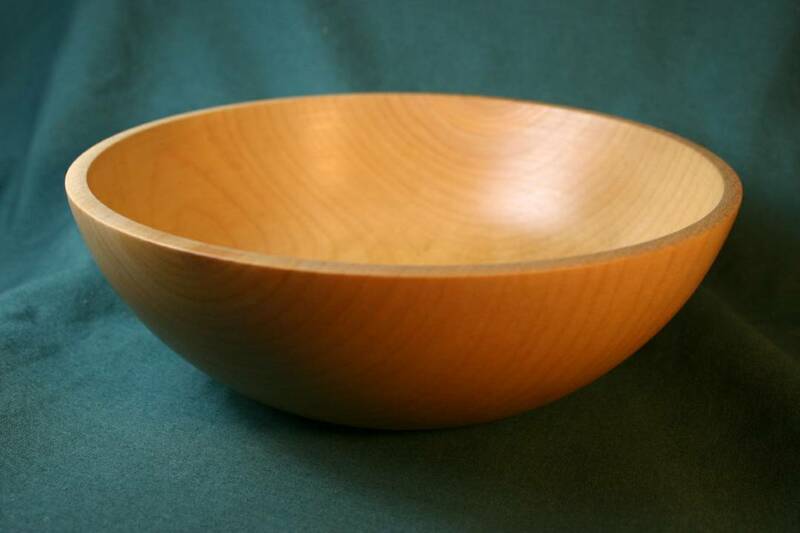 The base is an ellipse, and the wooden spring is delicately sculpted and tapered. The stopper snaps in and is held securely for display. 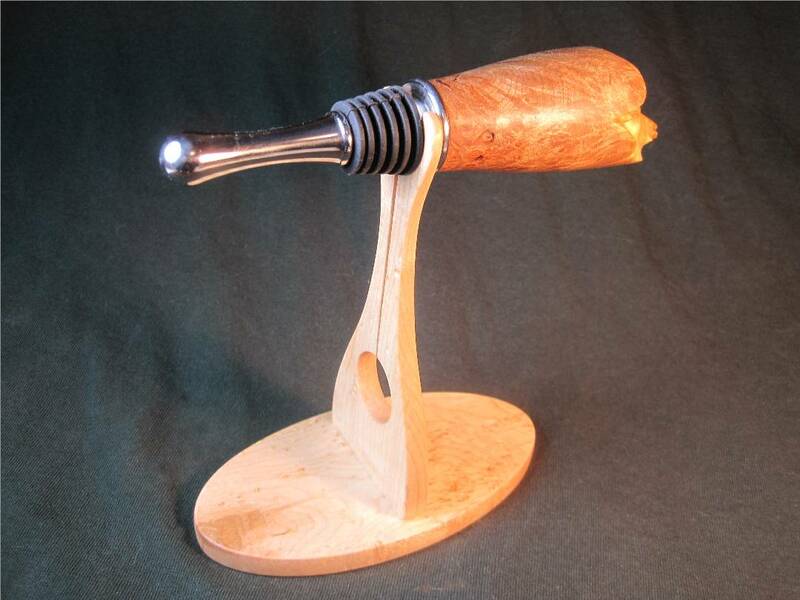 The stopper shown is made from maple burl. I left the end of the burl natural to show off the interesting texture. 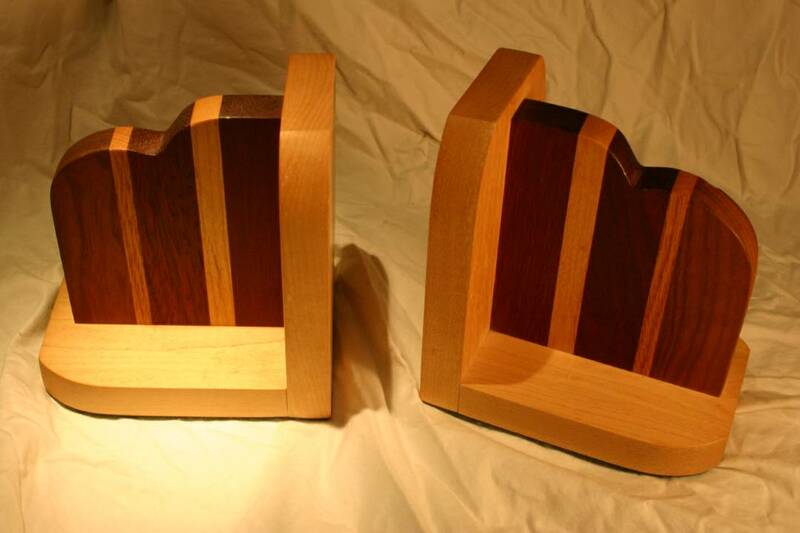 These bookends were made for xmas several years ago. 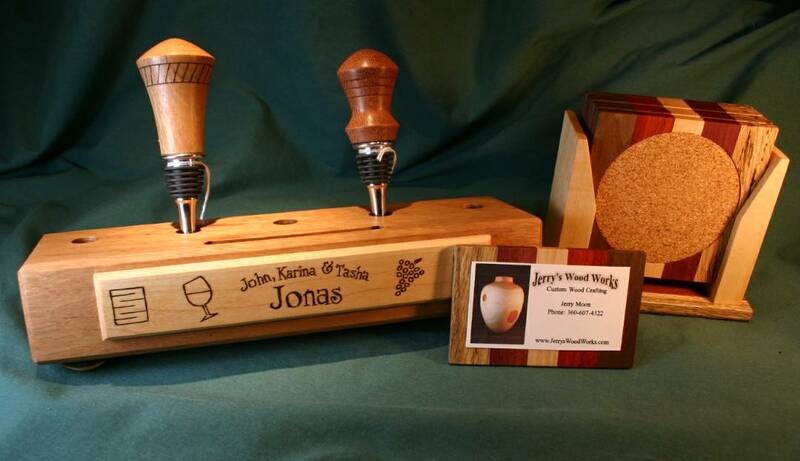 They're made from hard maple, walnut, oak, purpleheart and padauk. The bottom was lined with felt. 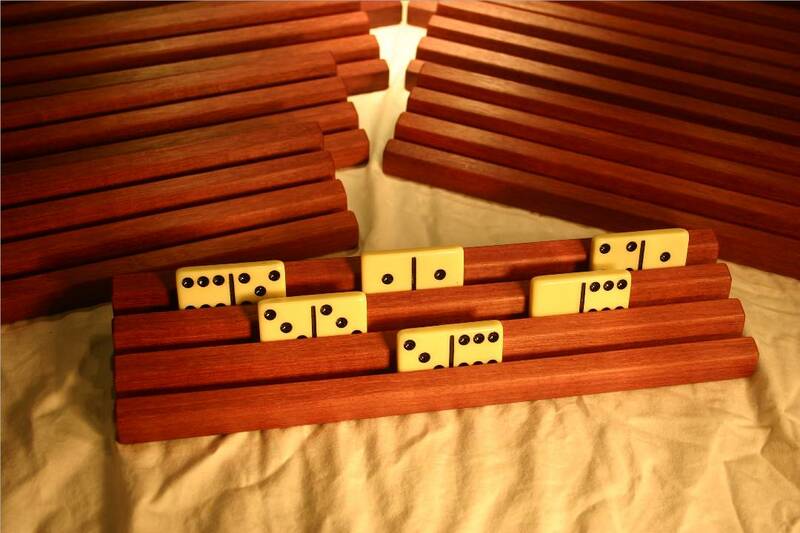 These 10 domino trays were custom made for Mike in Arizona. 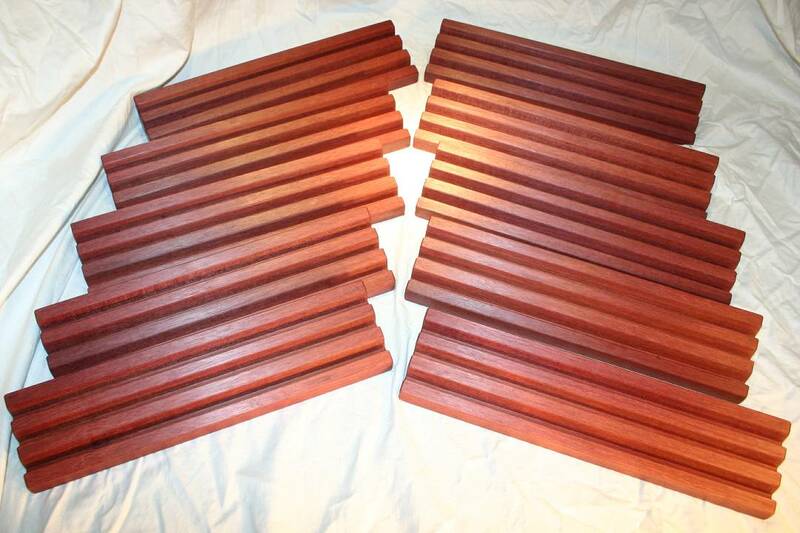 They are made from solid purpleheart and finished with Danish oil and paste wax.